In the tradition of The Tortilla Curtain, T.C. Boyle blends idealism and satire in a story that addresses the universal questions of human love and the survival of the species. In the year 2025 global warming is a reality, the biosphere has collapsed, and 75-year-old environmentalist Ty Tierwater is eking out a living as care-taker of a pop star's private zoo when his second ex-wife re-enters his life. 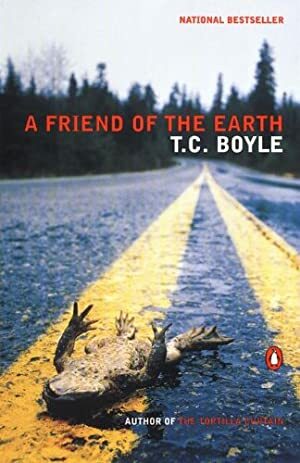 Both gritty and surreal, A Friend of the Earth represents a high-water mark in Boyle's career-his deep streak of social concern is effortlessly blended here with genuine compassion for his characters and the spirit of sheer exhilarating playfulness readers have come to expect from his work. Log In to track T.C. Boyle on eReaderIQ. to be notified each time the price drops on any book by T.C. Boyle. to stop tracking T.C. Boyle. We started tracking this book on March 10, 2018. The current price of this book is $13.99 last checked 3 months ago. We last verified the price of this book about 3 months ago. At that time, the price was $13.99. This price is subject to change. The price displayed on the Amazon.ca website at the time of purchase is the price you will pay for this book. Please confirm the price before making any purchases.